Put on your bidding shoes, because on Saturday March 17, 2012 QuiBids will auction off a Four Night Bahamas Cruise for Two. You’ll want to be there dancing around that bid button, because this cruise is sure to be a dream vacation that you will never forget! Be sure to add this auction to your QuiBids Watchlist today! 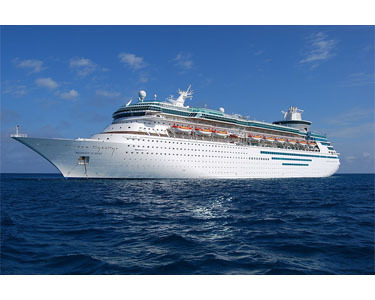 On this trip, you could set sail in the 74,077 ton and 880 foot long cruise ship called Majesty of the Seas. The Majesty’s Maiden Voyage was April 26, 1992, and she has since lived up to her name. However, thanks to dazzling, top to bottom renovation, The Majesty of the Seas is now even more majestic than ever! The ship’s passenger capacity is 2,767, and cruises at a speed of 19 knots. You will explore The Royal Caribbean’s private island, CocoCay, experience the wonders of Paradise Island, or even check out the stingray adventure at Blackbeard’s Cay. This is sure to be a vacation you won’t soon forget! And of course, there’s still the Bahamas powdery beaches and crystal clear water to look forward to. The Bahamas’ capital has beautiful beaches and charming old-world architecture. But Nassau is also a vital contemporary area offering shopping, restaurants and more. Cross the bridge to Paradise Island to see the extravagant resorts, or discover more than 300 species of beautiful plants and flowers at the Royal Victoria Garden. This private island paradise is available exclusively to Royal Caribbean guests. Its sugar-white beaches are a wonderland of adventure and activity. With nature trails and aquatic facilities, CocoCay offers activities for everyone, from parasailing to sipping delicious “Coco Locos” on a hammock. And every visit to this exciting port is topped off with a mouth-watering beachside barbeque. So are you considering bidding on this Four Night Bahamas Cruise for Two on QuiBids? Don’t forget to add it to your QuiBids Watchlist today! This auction is available to US bidders only.